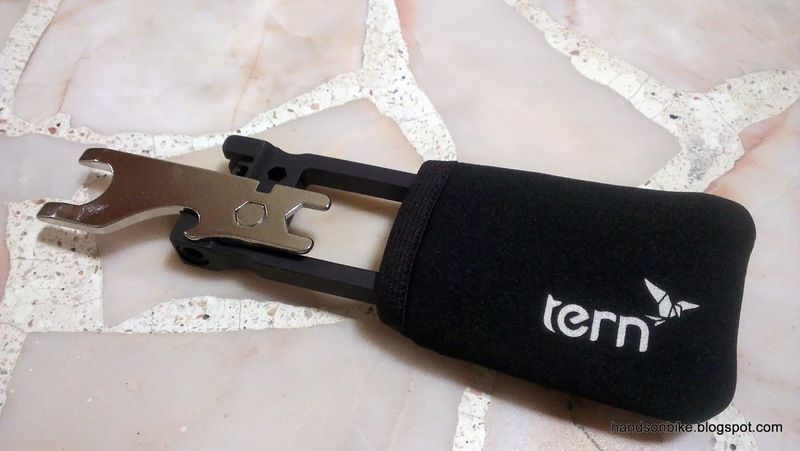 Introducing the Tern Tool! 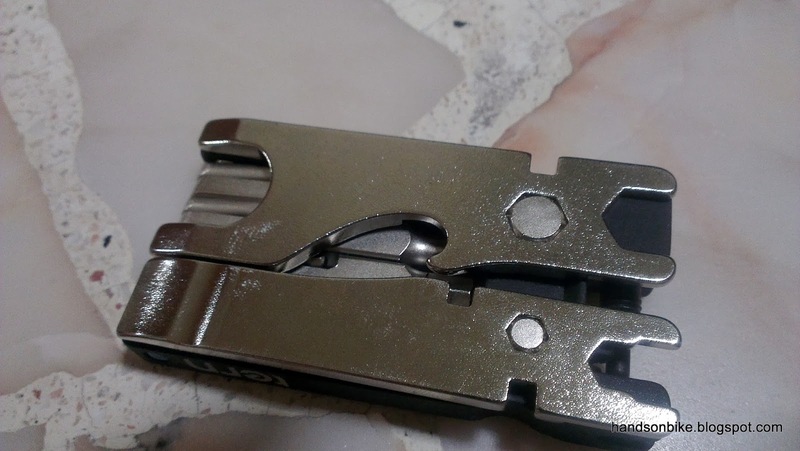 This is an innovative multi tool that is specially designed for bicycles. 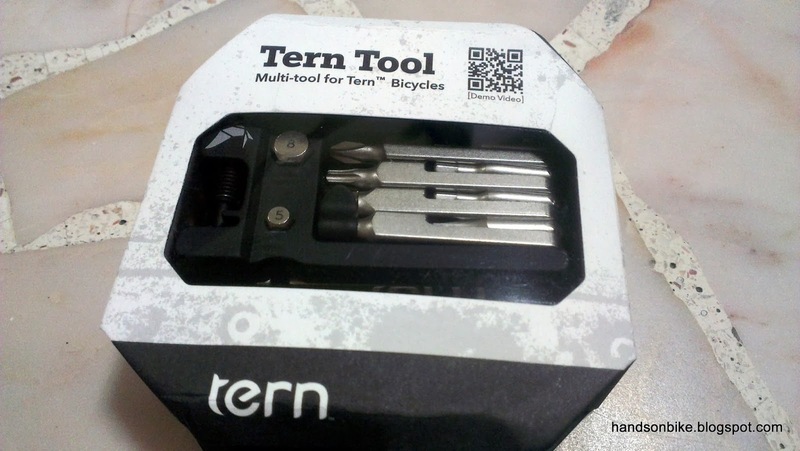 Contrary to the name, this tool is not specific to Tern bicycles. The range of tools available on this tiny package is quite comprehensive. 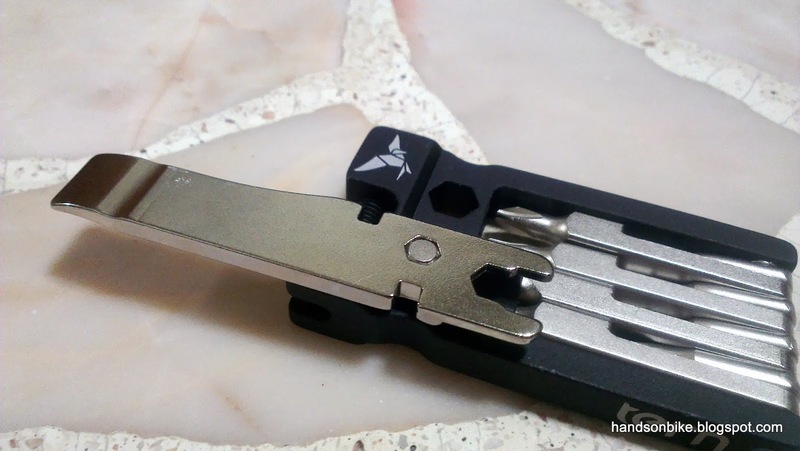 There is also a very similar multi tool by Biologic, called FixKit. 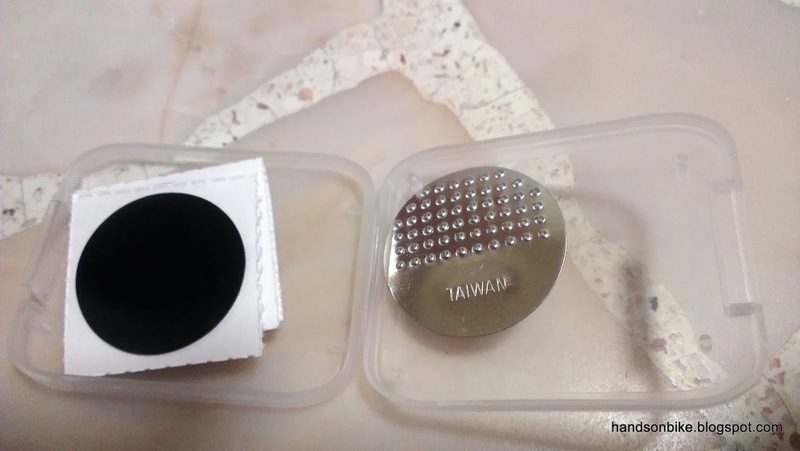 It is basically the same except that the Biologic FixKit does not come with a patch kit. The list of tools! It is amazing how the designers managed to fit so many tools into such a small package. The pouch that is used to keep the tool. This protects other items in the same bag from being scratched by the Tern Tool. Close up look at the tool. Well designed and very compact! Surprise! 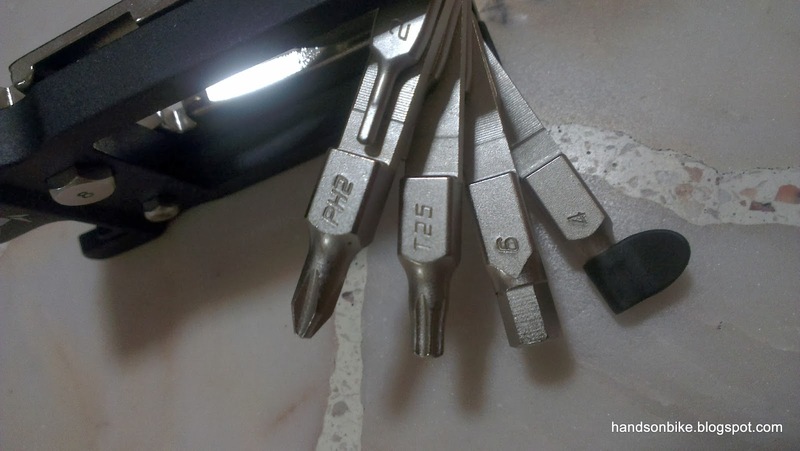 The smaller sizes of the Allen keys are actually hidden in between the larger tools. This means that they don't take up any extra space. Very innovative indeed. 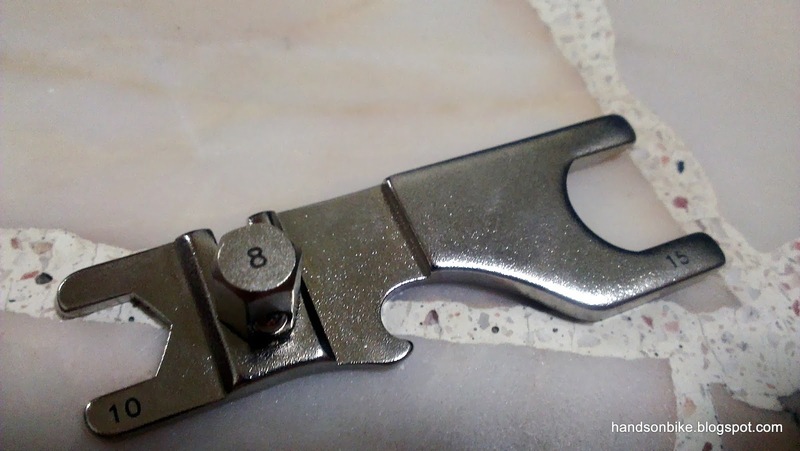 The bottom of the tool, with the two removable pieces. 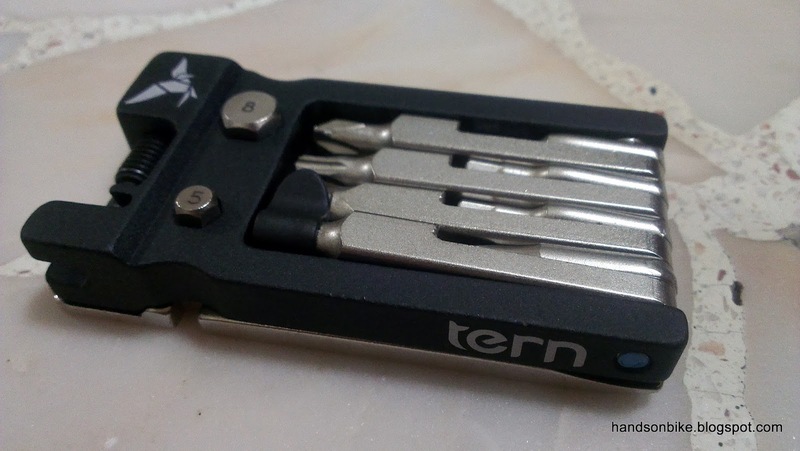 These are the special pieces that really makes the Tern Tool stand out from the other multi tools. One of the two pieces that can be separated from the main tool body. This piece has size 5 and 6 open ended wrenches, the size 5 Allen key, and 2 spoke wrenches. The other piece of the tool. This part has the size 8 Allen key, the size 10 and 15 open ended wrenches, a spoke wrench and a bottle opener! 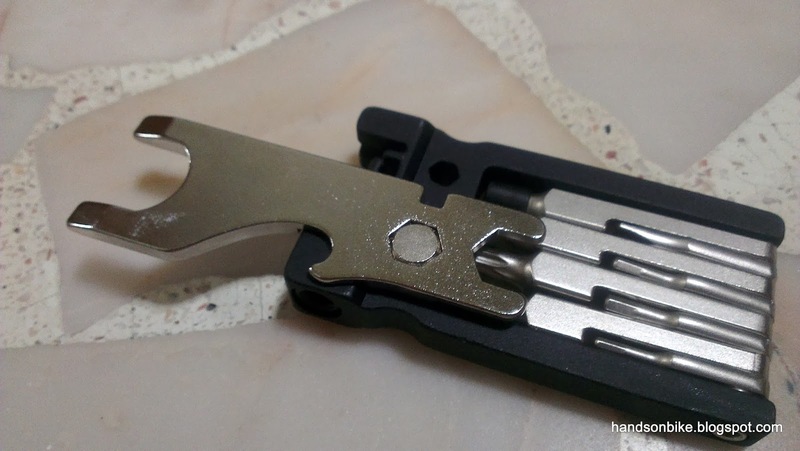 The main feature that differentiates this tool from other multi tools is that the removable pieces can be fixed onto the main tool body to create a new tool! Fix the first piece onto the tool body (using the size 5 Allen key), and you get a tire lever! The tool body extends the lever length for proper leverage. Fix the second piece onto the tool body (using the size 8 Allen key), and you get a size 15 wrench! 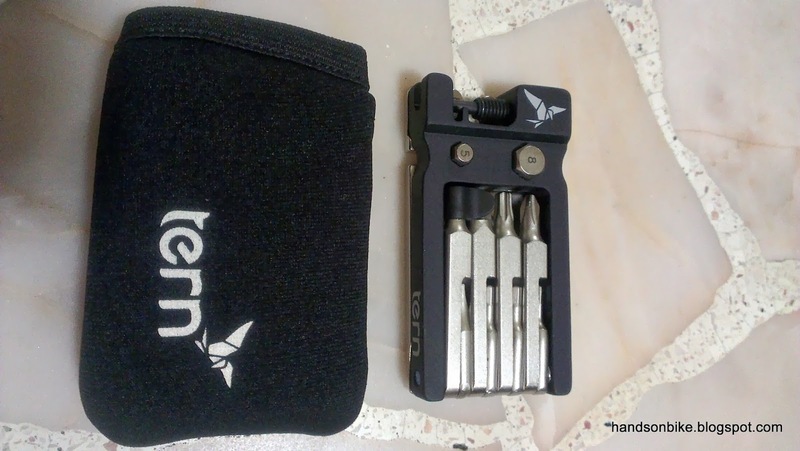 This is the most wonderful part of the Tern Tool, as it allows you to have a size 15 wrench in this small foldable package. 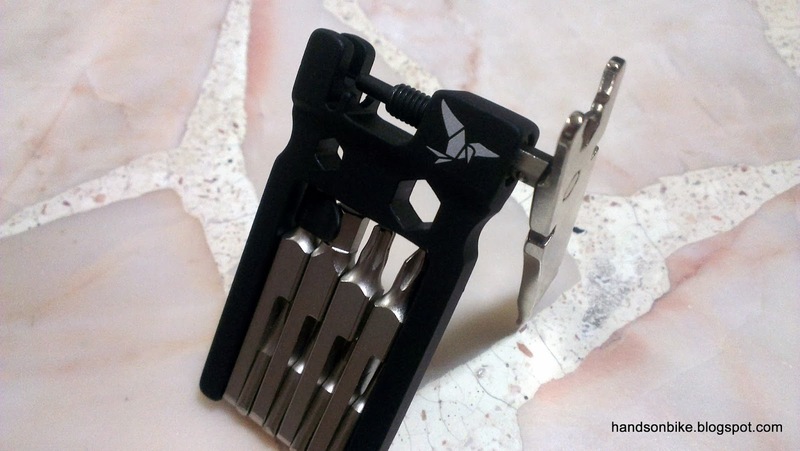 To increase leverage for the size 15 wrench, just fold out the other Allen keys, and you get a longer tool! Just in case it still hurts your hands to turn the axle nuts, slip on the Tern pouch for a more comfortable grip! 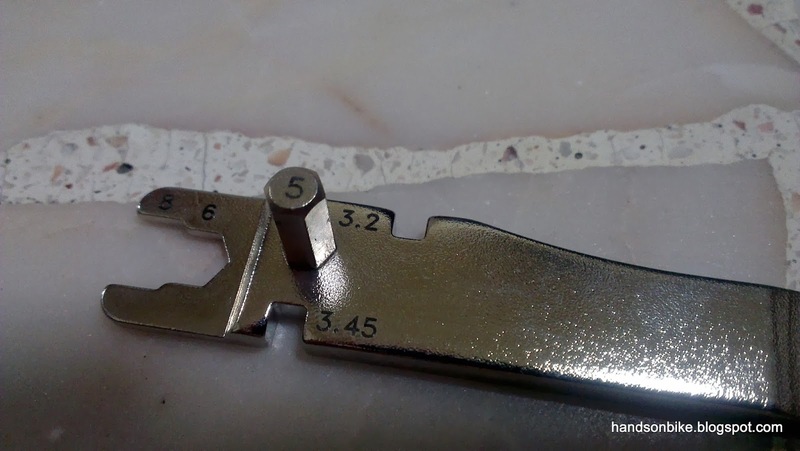 I have tried using this size 15 wrench on the axle nuts of my Avanti Inc 3, and the tool works as advertised! There was plenty of leverage, and I could turn the axle nuts without excessive strength. Very useful indeed. As an add on, it also has a patch kit that you can put inside the pouch. And that's not all! 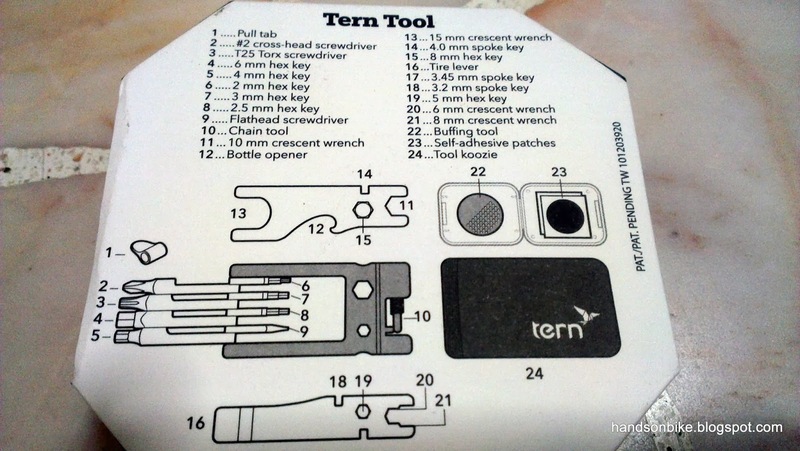 This Tern Tool also has a chain tool, which can be very useful. 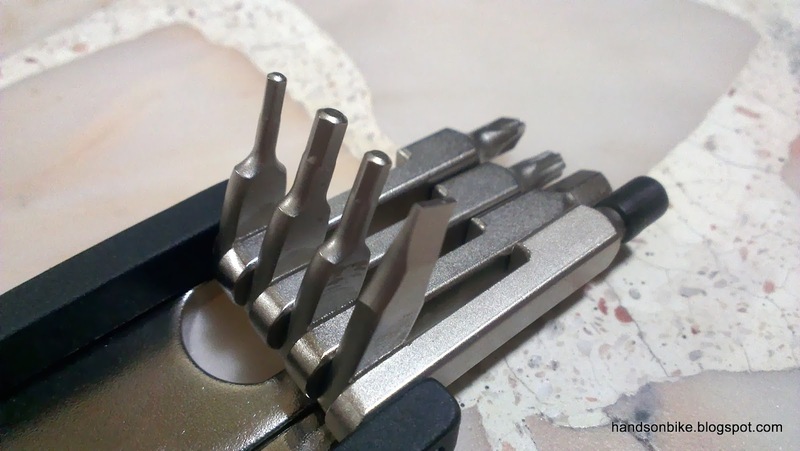 Just insert the piece with the size 5 Allen key into the side of the tool, and you will be able to turn the pin! It might be rather difficult to turn it though, as the side of the lever is narrow. I am quite pleased with this purchase as this tool is really very useful. The build quality is good and feels solid in the hands. Not only does it have the standard Allen keys and screwdriver bits, it also has an integrated chain tool and a size 15 wrench. As of now I have not decided which bike this tool should go on. 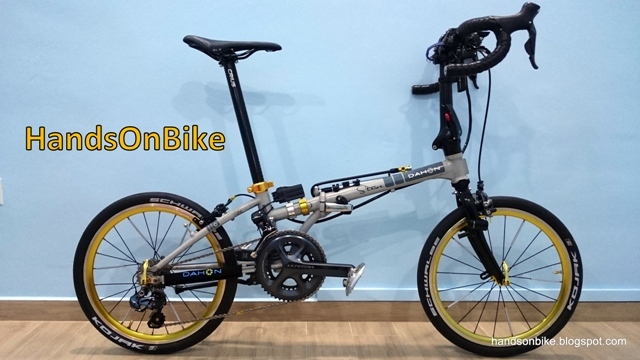 Maybe on the Avanti Inc 3, as the Tern Tool can replace both the Topeak multi tool and the size 15 wrench that is currently on the bike. If your bike uses axle nuts, this tool will be super useful as you can have a size 15 wrench in a small package. 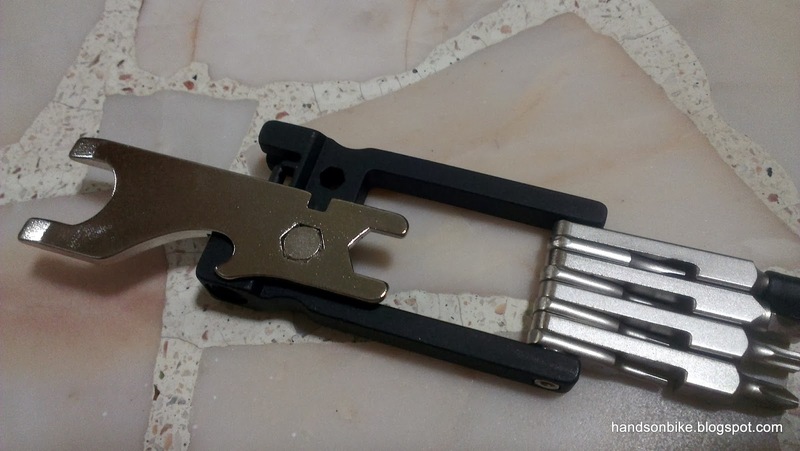 On the other hand, if your bike uses quick release skewers for the wheels, then this tool will not show its full potential as a multi tool, although it is still an excellent multi tool. Hi, can you share where you got this from? 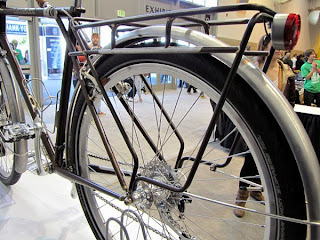 You can get it from most bike shops that sell Tern bikes or from the online store premiumbikegear.com.